This was the first time I needed a very big platter to hold a very big cake, a number 3 shaped birthday cake. I had seen things wrapped in aluminum foil which would have been fine but I thought I might be able to quickly make something cute and festive. 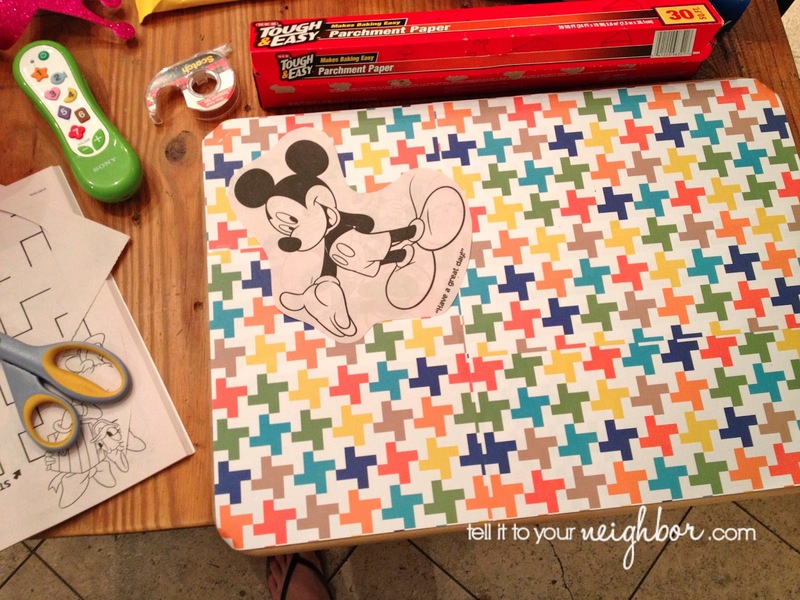 So I went to our kids’ art supplies and found a Mickey Mouse coloring book and our patterned construction paper. 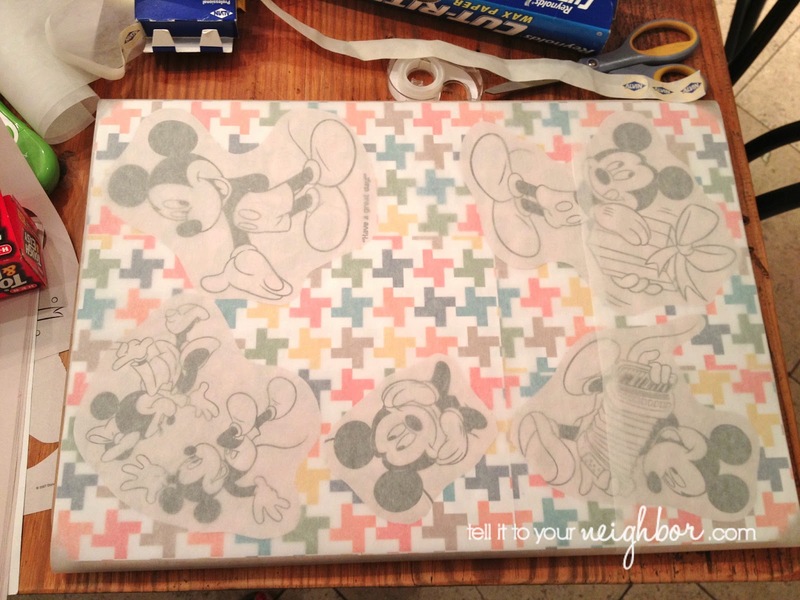 I took our biggest cutting board and covered and the top of it with the patterned paper. To keep it down, I taped the corners and a few other spots. Then I cut a few characters from the coloring pages and taped them to the top. After that I covered it all with translucent Parchment Paper (not wax) by wrapping and taping the paper to the bottom of the cutting board. 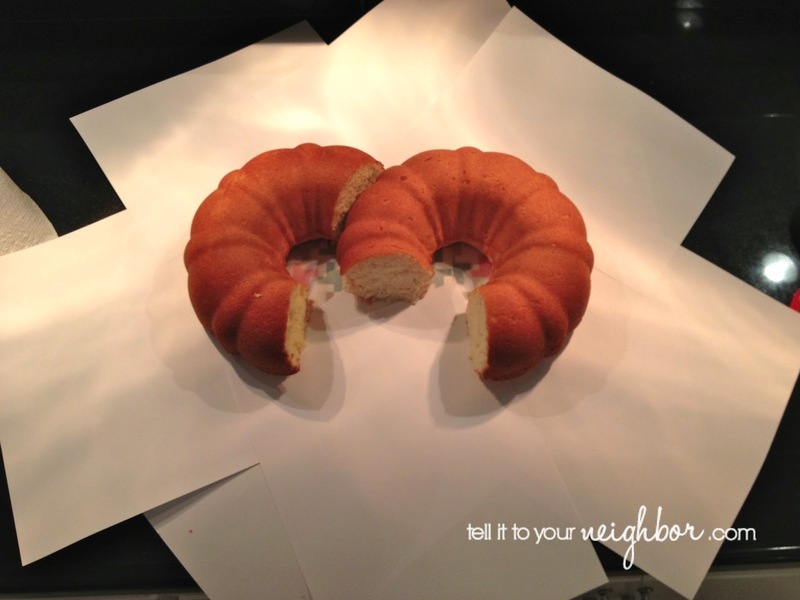 Next I placed the cake! 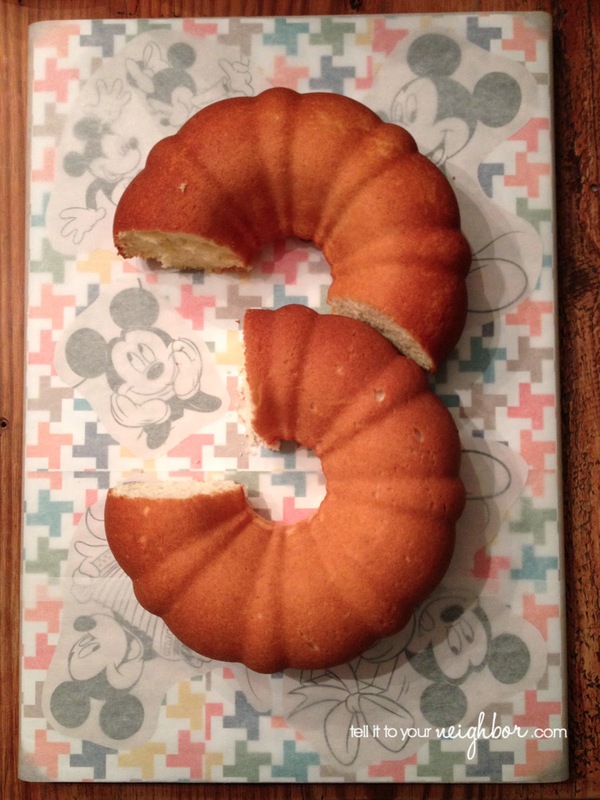 We made the number three out of two bundt cakes (here’s where the idea originated). And here’s our finished cake. 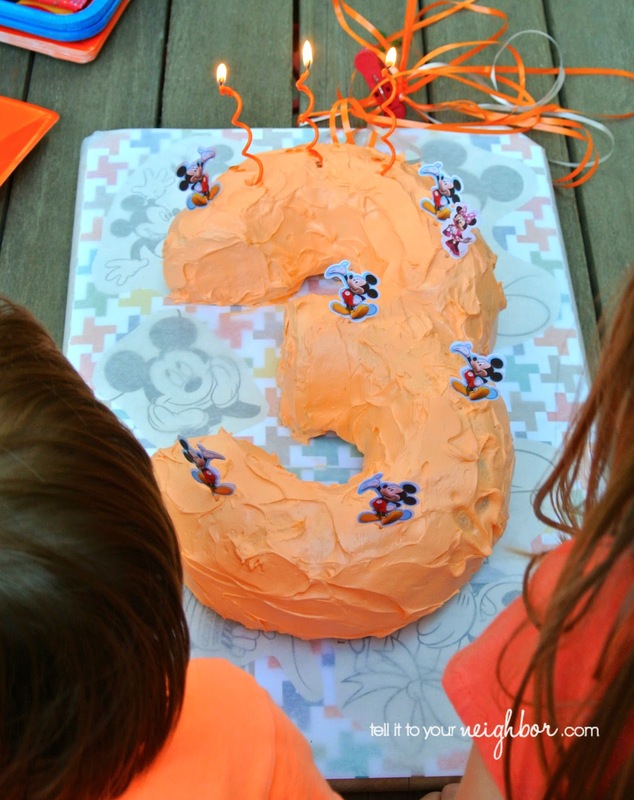 The theme of the birthday party was “Mickey Mouse Orange” and I’ll have to explain that in a future post. If you ever need a big platter, go to the kids’ art cabinet and cover a cutting board! That is so adorable and creative, both the cake and the covered platter!!!!! This is an amazing idea!!! Thanks so much for sharing.